For many high school students, summer is a time to disconnect from school year stress. For many parents of high school students, summer is a time fraught with anxiety over whether their teens are “making the most” of their time away from school. How sad! Whether your are a student or a parent, please don’t sweat summer. Even if you are a student or parent who has no money to your name, there are plenty of ways high school students can stay active and engaged over the summer while developing their interests and building important life skills. 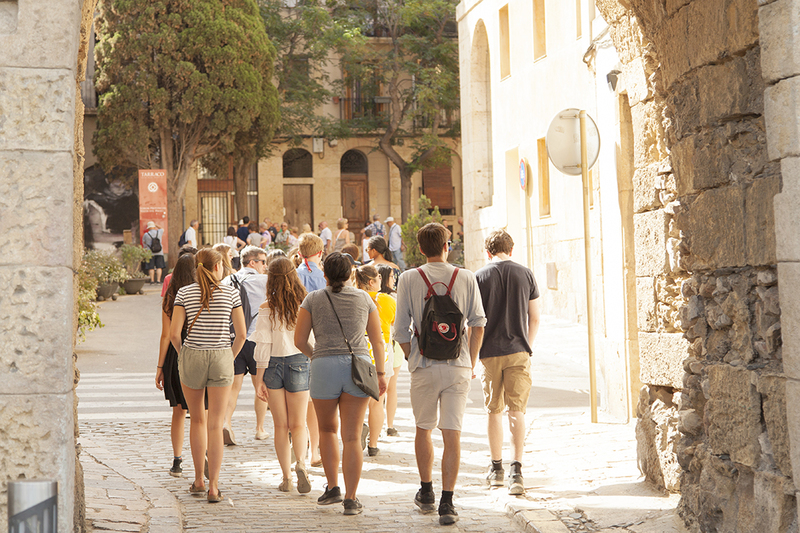 Yet, if you do have some dollars to spare, there are some wonderfully enriching summer programs for high school students out there – and I mean way out there – in Europe. My five favorites are detailed below. These programs will give curious, adventurous, intellectual, and inquisitive high school students the chance to burst out of the often-banal high school classroom and into the “old world” in order to engage in an amazing experiential learning opportunity that will be both perspective-expanding and a chance to take a deep dive into preexisting interests. This is so important because no matter what a student does over the summer, it should present value added to both the student and to colleges the student may want to apply to later. Before we start the countdown, an important disclaimer: exploring pre-existing interests deeply over the summer in Europe seems like a win-win to me; however, the following list won’t be for everyone, and it shouldn’t be. The most important thing for students and parents to remember is that students should pursue their passions deeply over the summer. If they can’t afford to take part in the programs below, that’s fine! They still should develop skills and knowledge over the summer that can only come through some sort of immersive summer experience. Again, I detail some closer to home and dirt-cheap options here. But, without further ado, for the purposes of why we are here today, let’s hop on the plane to Europe! In 1956, M. Crist Fleming founded The American School in Switzerland, the first American boarding school in Europe, in order to apply the American independent school tradition to Europe. All these years later, the school has grown leaps and bounds, and other TASIS schools operate in England and Puerto Rico. TASIS’ summer course options in Switzerland really wow me. Students pick one class from a diversity of options, which means that a diversity of students will be intermingling on this lovely southern Swiss campus for the duration of your stay. Class options offered in 2019 include English as an Additional Language (EAL), EAL Academic Writing (1st session only), Intensive Italian (1st session only), Intensive French, International Baccalaureate Preparation Course (2nd session only), Fine Art Portfolio (new for 2019, 1st session only), Lean Startup Masterclass (1st session only), Musical Theater, Digital Photography, Architecture & Design (1st session only), and Fashion & Textile Design (2nd session only). My favorite option, however, is La Cucina Italiana: Italian Cooking (2nd session only), in which students learn to cook authentic Italian food after choosing ingredients at local Italian markets, touring Italian cheese and meat factories, practicing knife skills, and learning how to perfectly balance spices. Why I love this program: As a former “undecided” student as I began my college career, TASIS’ diverse offerings speak to the undecided teen in all of us, and the overall program certainlys attract a diverse mix of summer students from all over the world. Students need more opportunities to simply try something new and meet peers with diverse interests, and TASIS’ Switzerland summer program certainly allows for that in a location that can’t be beat. If you can’t get inspired to learn more about yourself and the world around you while on TASIS’ Lugano campus, you can’t get inspired anywhere. Another upshot of this program is that all high school students, no matter their grade level, are able to take part. 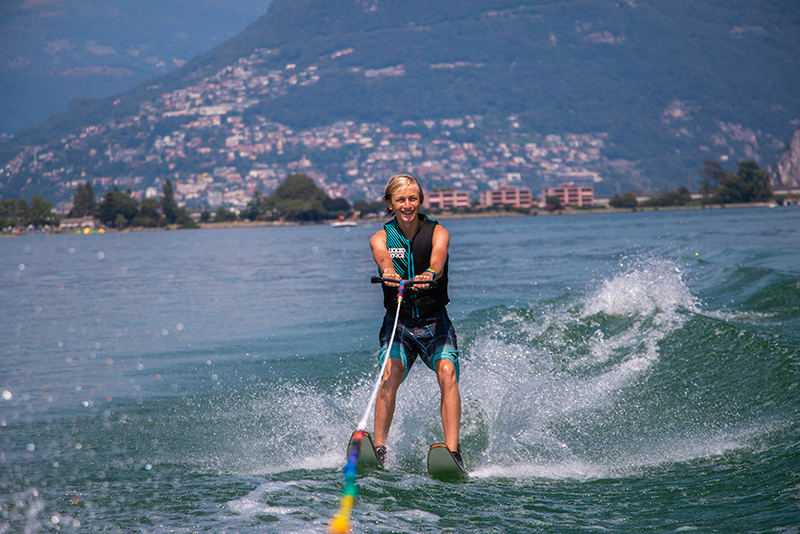 Who it’s perfect for: Students taking part in this program should have the desire to immerse themselves in one course and maybe one sport (sports cost extra but include Milan Academy Scuola Calcio, Olimpia Milano Basketball, and Crossfit) in the unsurpassed setting that is Lugano, Switzerland, which is also a wonderful jumping off point for educational European excursions near and far. Students who are undecided on their path in college and beyond will find something to try at TASIS over the summer and have the chance to do so in an environment that seems almost too perfect and made for life-long memories. Students whose interests align with one of the course offerings are in the unique position to build upon this preexisting interest in the company of peers who may have very different academic and personal interests but who share an interest in spending time in the pre-Alps over the summer. Cost (in 2019): Payment is quoted in Swiss Francs, but for 2019 the exchange rate with the dollar is roughly 1:1; therefore, depending on the session, standard costs range from $6,700 to $8,200, and participants should expect costly add-ons including flights and special bonus programming. Alternative worth considering: TASIS also has intriguing summer options for high school students in England, France (see more below), and possibly in the future again in Puerto Rico (recent hurricanes have led to the suspension of those summer programs for the time being). It shouldn’t be so surprising that the Fighting Irish run a summer travel tour seminar worth one college credit for rising high school seniors in Ireland. 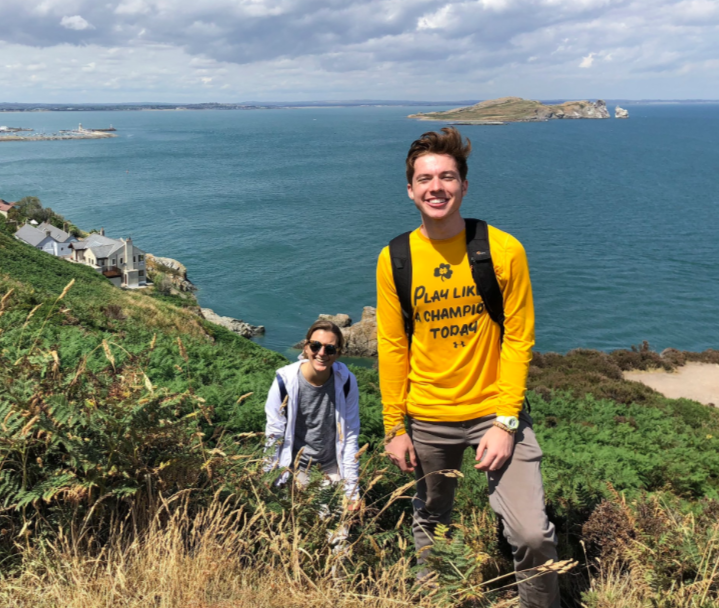 Notre Dame’s Pre-College Program in Ireland allows rising high school seniors to explore “bustling Dublin,” “bucolic Connemara,” edgy Belfast, and so much more during a twelve-day jaunt through the Emerald Isle. Why I love this program: It’s pretty immersive in terms of ground covered and it’s pretty cool that students live and learn at the Kylemore Abbey Global Center, which is right next to a castle, during the last leg of the program. Who it’s perfect for: Students taking part in this program should have demonstrated academic achievement in high school and some sort of preexisting interest in Ireland, Irish Heritage, Irish History, Catholicism, Protestantism, place-based learning, European culture and/or History, 20th Century History, European History, the British Isles, castles, and/or the Northern Ireland Peace Process in order to get the most out of this experience and in order to have it align with other activities they’ve pursued in the past. Alternative worth considering: Notre Dame also has a summer program for rising high school seniors in Rome. Why I love this program: This program is for serious artists; each class meets daily from 9:00 a.m. to 4:00 p.m., so it’s for those who are energized by developing their craft. All Parsons Paris Summer Intensive Studies courses are not only educational in their own right; each course counts for three college credits and may also be used by students to develop a portfolio for their upcoming college admissions process. Students also have the chance to take part in excursions, including crepe tastings. Who it’s perfect for: Students taking part in this program should have demonstrated artistic achievement in high school and some sort of preexisting interest in Art generally or specifically fashion, fashion merchandising, drawing, graphic design, photography, and/or art history in order to get the most out of this experience and in order to have it align with other activities they’ve pursued in the past. 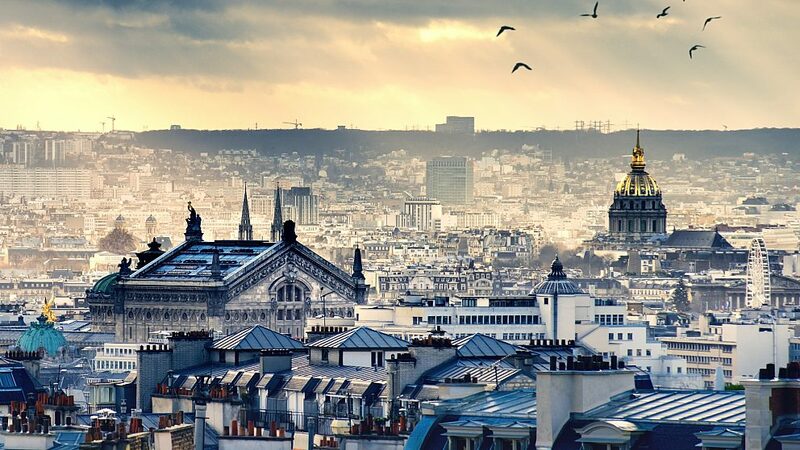 Alternatives worth considering: If you don’t need to be in France, but want a lot of what Parsons Paris’ summer courses offer, Parsons also has a pre-college/intensive summer programs for high school students at its main campus in New York City. Meanwhile, if you would love to spend several weeks intensely pursuing your passion for art in France but don’t need to be in cosmopolitan Paris, TASIS (mentioned more above) has an intimate one-of-a-kind at program in the south of France called Les Taipes, which accepts an extremely limited number of students each summer. This ain’t no teen tour; open to rising high school juniors, rising high school seniors, and rising college freshmen, all those attending will take part in rigorous study while doing some serious place-based learning. Students live at the University of Barcelona’s modern Sant Jordi residence hall, which is located in Sarrià and only one block from Avenida Diagonal, a major thoroughfare that runs right through the city. 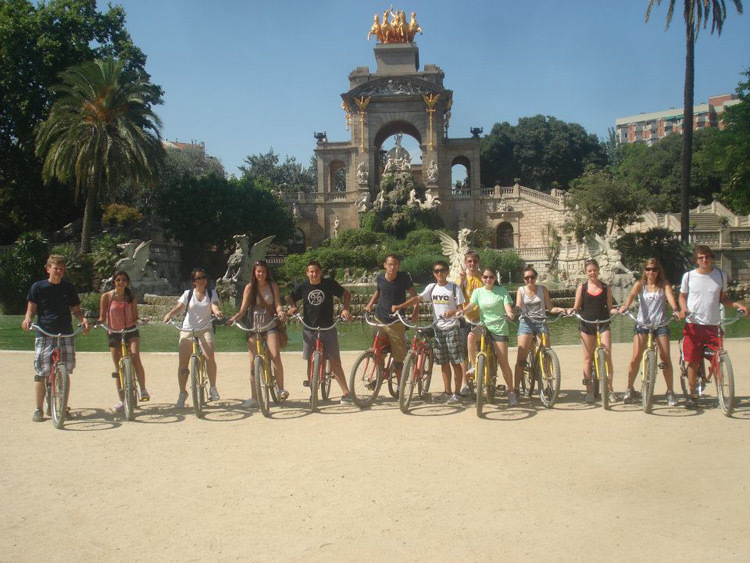 Why I love this program: Side trips to Figueres and Tarragona are nice, as are the variety of extracurricular activities available to students in and around Barcelona, but the biggest reason I promote this program is because my students who have taken part in it all come back appreciably more thoughtful, worldly, and mature individuals. Who it’s perfect for: Students taking part in this program should have demonstrated academic achievement in high school and some sort of preexisting interest in Europe, European History, Spain, Spanish History, Catalonia, Catalonian History, Latin cultures/heritage, Mediterranean History, the European Union, Architecture, Urban Design/Development/Planning, Art, and/or Spanish language in order to get the most out of this experience and in order to have it align with other activities they’ve pursued in the past. Cost (in 2019): $11,208 (this does not cover flights or passport, but does cover the application fee); and Columbia recommends that students bring $900 in spending money to boot! Alternatives worth considering: Brown University offers short “On-Location” pre-college programs for high school students in Segovia, Spain and Rome, Italy. 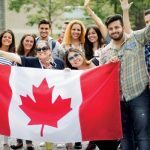 Simply put, the most college-esqe of the courses you will find available to high school students in Europe over the summer are offered by none other than University of Dallas (go figure!). 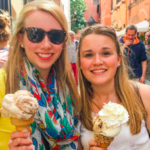 No matter which of the three course options you complete, you will earn three college credits, and the course content is pitch-perfect to study while in Rome. Italian cooking (see TASIS above) is fun, if not a bit trite and short on academic heft; nobody who takes one of UD’s courses can be accused of being unoriginal or an academic push-over. Why I love this program: I love Italy, I love Rome, and I’m all about ROI (return on investment). If you are interested in the content of one of these courses, this pre-college program represents a really great deal and a once-in-a-lifetime opportunity to study on location – though the formal campus is just outside of town – with passionate University of Dallas professors doing what they love. The three course options are “Shakespeare In Italy” (did you know a full third of his plays were based in Italy? It wasn’t by accident), “Latin in Rome” (learn about Roman history, politics, art, and architecture while engaged in advanced study of Latin and the people who spoke it), and “Rome and the Catholic Church” (again, this is not fluff course by any means, as it “explores the truth, goodness, and beauty of Catholicism as manifested in great theological texts, lives of saints, artistic masterpieces, historical landmarks, and miracles connected with the Eternal City”). Who it’s perfect for: Students taking part in this program should have demonstrated academic achievement in high school and notable preexisting interest in at least one of the subjects covered in one of the courses on offer in order to get the most out of this experience and in order to have it align with other activities they’ve pursued in the past. Alternative worth considering: As I mentioned, I love Italy. 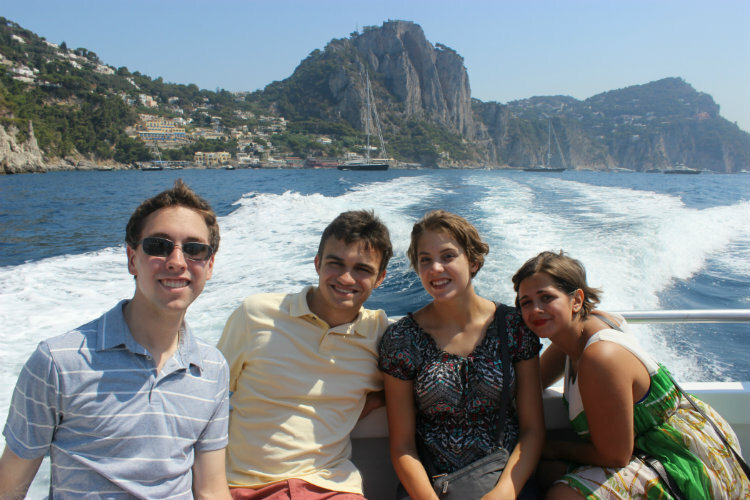 I love it so much that I decided to move my annual summer college application completion colloquium for rising seniors to Italy a few years ago. 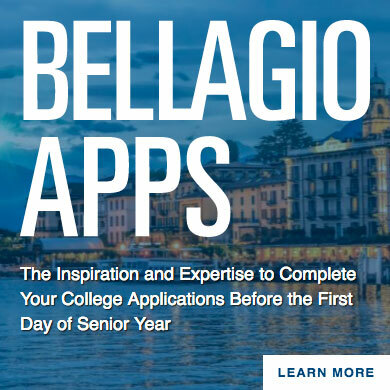 Known as Bellagio Apps, this program, which takes place in northern Italy, will help you craft amazing applications to the colleges on your list – all before the first day of senior year. 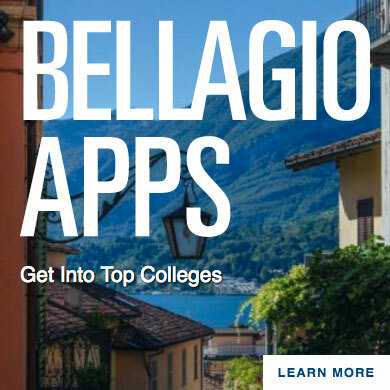 Luckily, you don’t have to choose between Bellagio Apps and any of the other options mentioned above because Bellagio Apps doesn’t start until August, while the programs mentioned above take place in June and/or July. Yet, it’s also important to note that you can’t put Bellagio Apps on your extracurricular resume like you can put any of the other programs mentioned above. I mention Bellagio Apps here because there’s really nothing else on Earth like it and because if you’ve gotten this far into this article, you probably love Italy just as much as I do. Bellagio, on the shores of Lake Como, is about as close to a hybrid of Italy and heaven as one could imagine, so if you want to ensure that all you have accomplished during your high school years is conveyed in a manner most likely to get you into the colleges on your list and you could use some time in a stunning European locale, consider Bellagio Apps this summer. A high school student’s personal wellness and college admissions prospects are best served when a student is being authentic. This is as true during the summer as it is during the school year. Sadly, many students don’t know where to begin when it comes to being authentic, no matter the time of year. 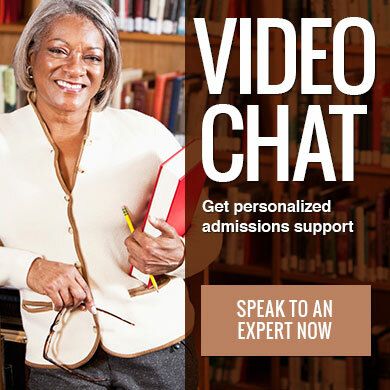 In addition, many students suffer from the misconception that the most impressive extracurricular accomplishments in the eyes of admissions officers at highly selective colleges and universities are extracurricular activities that cost an arm and a leg. Nothing could be further from the truth. Let me use an example to make my point. If a student is truly passionate about lacrosse and American History and his family has the financial resources to support these twin passions, a family shouldn’t be shy about paying for the student’s advanced lacrosse training, his appearances on the lax tournament circuit, and his spot in one or more pre-college programs that will allow the student to immerse himself in American History over one or more summers. Yet, just because a family with financial resources can pay for all of those opportunities does not mean that the student should only pursue his passion for lacrosse and American History with pay-for-play endeavors. If a student needs to have his mommy or daddy pay for every extracurricular activity he pursues, has the student really demonstrated his passion for such endeavors? If the student in this example is truly passionate about lacrosse and American History he will also likely join and contribute much to his school’s lacrosse team, donate to or start a fundraiser to support local lacrosse players or teams with few resources, coach younger or weaker lacrosse players during the school year or summer, start a history or politics club at school, go above and beyond in school History classes, take the most rigorous History classes at his school, and maybe even submit a research paper on American History to a journal for publication. If a student is truly passionate about lacrosse and American History, he will pursue both free and fee-based opportunities in order to demonstrate his true interests. If he isn’t really that passionate about lacrosse and American History, it’s likely that he will only pursue fee-based opportunities related to lacrosse or American History because there are myriad fee-based organizations, camps, and more happy to take money from parents who have a stronger interest in having their children pursue lacrosse and American History than do the children themselves. Therefore, it goes to figure that while a student who doesn’t come from money won’t be able to engage in an expensive pre-college program over the summer or take part in expensive regional or national lacrosse showcases, he still has a path forward through which he is able to pursue his passions deeply and demonstrably; the path forward just has to be cost-conscious. A poor teen shouldn’t try to act like a rich teen if he can’t afford to; it won’t be good for his self-concept, his college admissions prospects, or his parents’ bottom line. For instance, a teenager who has a true passion for lacrosse and American History, but who doesn’t have a sugar daddy or mommy to act as his personal ATM, can still join his school’s lacrosse team (or start one somewhere if his school doesn’t have one), donate to or start a fundraiser to support local lax players or teams with few resources, coach younger or weaker lacrosse players during the school year or summer, start a history or politics club at school, go above and beyond in school History classes, take the most rigorous History classes at his school, and maybe even submit a research paper on American History to a journal for publication. The student gets fulfilled by pursuing his passions and colleges will be impressed that he pursued his passions within the context of what was possible for him to pursue given his resources. 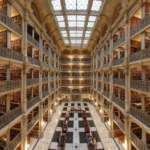 In fact, he could probably do more still – especially over the summer – in order to demonstrate his deep and unbinding passion for lacrosse and American history if he reads and thinks very carefully about the top ten list below. Colleges want students to reach for their potential. If you don’t have money, colleges can’t and don’t expect you to take part in a $5,000+ pre-college program this summer. Yet, while the vast majority of teens don’t have much in the way of financial resources, even fewer teens have the twin passions of lacrosse and American History. 1. Volunteer: If you have any sort of interest or passion, there are ways to volunteer your time in order to pursue this interest or passion more demonstrably and immersively than you are doing today. Want to help others? Volunteer at an organization whose mission it is to do just that. Want to get a sense of what life is like as a dentist? Volunteer at a dentist’s office. Fascinated by art museums and want to be a curator when you grow up? Volunteer at a local art museum or art gallery. You get the idea. Don’t let volunteering get a bad rap in your mind just because so many students are doing it either in what you deem to be boring environments or in order to accumulate community service hours; try to volunteer in a way that speaks to your values, character, and priorities. Also, keep in mind, from the perspective of college admissions officers, the quality of your volunteering is more important than quantity of your volunteering. Finally, always remember that the hardest step is the first step: asking for the chance to volunteer. Once you start asking around, you may be surprised by how many organizations are looking for free labor. 2. Get a Job: It’s not as easy today for teenagers to find jobs as it was for teenagers in the 1950s or 1960s; however, both year-round and seasonal jobs for teens still exist. Jobs are a great way to make money and develop important life skills. No job should be “beneath” a teen whose main focus should be developing work-ethic a perspective on life that one can only gain by getting a paying job. So, whether the job is camp counselor, grocery store shelver, ice cream stand cashier, restaurant host, dishwasher, babysitter, tutor, or computer technician, be proud to get and maintain any job. Ideally, if you have options or can afford to be picky, you want to pursue a job that most aligns with your pre-existing interests, but any job is better than no job for what it says about you as an increasingly mature contributing member of society. Also remember that some colleges allow job supervisors to write a supplementary letter of recommendation on your behalf when you apply to college; therefore, even if you feel like the only thing you get out of a job is money and experience, remain close to and respectful of your boss; he or she could act as a wonderful and important reference for you sooner than you think. 3. 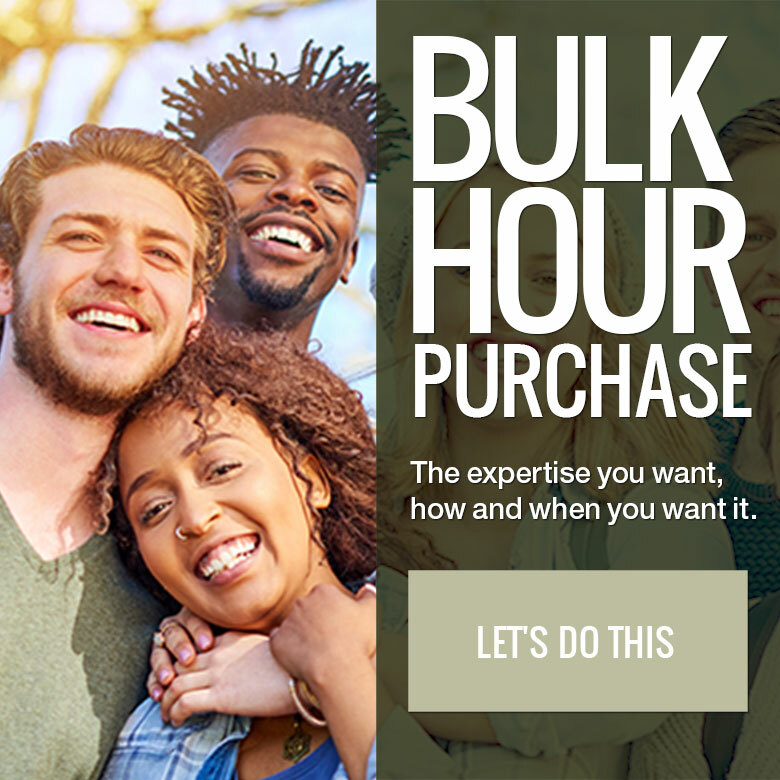 Start a Business: Whether an online business (drop shipping seems to be all the trend in 2019) or a good old lawn cutting business or lemonade stand, there are a lot of people out there with needs waiting to be met (in the summer people are always looking for their grass to be cut or their thirst to be quenched). Find a niche that interests you, and run with it the best you can. I’ve had students start everything from T-shirt businesses to cookie delivery services. 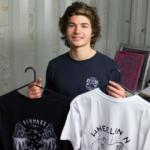 Remember, that starting a business will necessarily involve trial and error and even failures, but I can think of no better learning experience for a teen than taking the steps necessary to transition an interest into a business whether the business makes money or not because the budding entrepreneur is going to learn a lot. Last year was the first time I had a student invite a client of his to act as a recommender on his college applications. It was such an effective testimonial that I am convinced because of this unique recommendation he was able to edge out similarly qualified students to get into his dream reach college. Not to mention, his essay devoted to explaining the peaks and valleys of starting a business was a humorous and insightful standout piece of writing. 4. Launch a Website: Whether or not you want to make money online, starting a Website is a great way to develop entrepreneurial skills, build something from scratch, and express yourself. While most of my students who have created sites have done so in order to blog, some use their site as an online portfolio of sorts, while others use their site to sell a good or a service. Websites are also great to develop for the purposes of showing college admissions officers what you’ve been up to during your high school years. You can and should include your site’s URL in your college applications, which will allow those individuals deciding whether or not they want to accept you to their college to see what you’ve created online. 5. Create a Community Initiative/Fundraiser: Is there an intersection near your house that is in desperate need of a four-way stop sign? Are fans leaving a lot of beer cans outside a local minor league baseball stadium? Was there a fire in a nearby apartment complex that has left three families homeless and in need of funds to get back on their feet? All of the above examples are calling out for someone in the community to create local change. Get signatures from neighbors to present to your town council in order to get stop signs for that intersection. Organize a group of friends to clean up around the minor league baseball stadium after the fans go home. Door knock to see who is willing or able to donate money to the families in need of funds in order to restart their lives after the fire. Creating initiatives are another great way to help others and they are a great way to demonstrate for others – including colleges and future employers – what causes or issues that are important to you. 6. Organize/Lobby: Are you passionate in one way or the other about a political issue at the regional, national, or international level? Make your voice on the matter heard. You can either join a pre-existing organizing/lobbying group or start one yourself in order to effect positive change in this world. You can organize a group of friends to discuss a matter important to you with your local councilperson, delegate, or senator. Some of my students have even delivered oral testimony in their state capitol. Even if you don’t get politicians to vote in your favor or your bill doesn’t pass, but especially if they do/it does, you should be able to communicate to colleges how you organized and/or lobbied, what you learned, what you did achieve, and why it was important enough for you to get involved in the first place and stay involved. This will give colleges a sense of the priorities of the person they are considering for admission. 7. Invent/Pursue Art: While the World Wide Web is an increasingly popular canvas one which to create for many students, many others still like to invent or create art in the real world. If you are someone who likes to invent new gadgets or create your own art, do it with gusto. The summer is a particularly good time to dive deeply into time consuming projects that you just don’t have the time or attention span for during the school year. Just make sure that whatever you create is documentable or provable. You can say you spent your whole summer creating wall art in your city or inventing a new style of mouse pad in your basement, but for colleges, or anyone really, to take you seriously, you need to provide some sort of evidence of your accomplishments. This is another reason some students like to create online portfolios, blogs, or YouTube channels: to document their creative processes or produce a visual record of what they have created. 8. Help your Family: Depending on your family situation you may not have the luxury of spending very much time at all away from your grandparents, parents, or siblings. In fact, you may be a primary caregiver for one or more of them. A few years ago I had two students in one year who were severely limited in terms of pursuing any outside of the home extracurricular activities because of their responsibilities back home. In both cases these students got into amazing colleges because they took the time necessary to communicate to colleges the depth and breadth of their responsibilities within their families. Don’t be shy or embarrassed that you have major responsibilities that keep you close to home because if you do keep this under wraps, colleges will wonder what you are really doing with what they perceive to be a lot of free time. Again, this goes back to the so very important point made earlier in this article: you need to be authentic. You can’t be authentic if you keep secret a huge part of your daily life. So, if you need to care for your siblings for five hours each weekday or have to do the grocery shopping for your family each week, make sure you keep track of how much time you are spending on these life-sustaining endeavors and communicate about them on your extracurricular resume and on the extracurricular portion of your college applications. 9. Read: Far too few students (and people generally) these days are taking the time to read. Reading not only can help you learn about what you are reading; reading can also help you learn more about topics and ideas you make connections to in your mind while you are reading. Another hugely overlooked reason reading is important: it helps you learn how to more effectively communicate. This is important in all aspects of your life, but especially so in the college application process when you will likely have to write at least a couple of essays and a resume and possibly take part in one or more interviews. Reading in your spare time is a win-win. I am particularly fond of actual books instead of reading online because too much of what is readily available online is short-form writing; reading long-form writing is most likely to help you think deeper and clearer, and this will help you improve your overall communication skills. 10. Learn: While reading good old-fashioned books is great, there is also so much knowledge waiting to be absorbed online and in the real world. Increasingly, students can take whole online courses for free, and while many such courses are incredibly educational, there are also some that come with a certificate of completion, which is a nice form of verifiable evidence that you did in fact complete the course you claimed to take online. Yet, even if you are not so interested in formal courses online, there is also so much free information online and around us that can help you learn to be a better version of yourself. I had a student a couple of years ago develop and implement an entire workout and weight loss regime not with the help of a personal trainer, doctor, books, or other paid support but with only YouTube videos. He loss thirty pounds, got ripped, feels great, and is happier and more confident than ever before. At the end of the day, that’s much more important than getting into any particular college or getting into college at all; though, being healthy, happy, and confident sure doesn’t hurt anyone’s chances of getting into college either. While colleges increasingly emphasize the value of “experiential” or “hands-on” learning within their own communities, high school students are discovering real benefits in setting aside time during their high school careers for internships or other out-of-classroom experiences. In fact, they are finding that internships provide amazing opportunities to gain significant work experience while exploring long-term career options. But these opportunities don’t magically appear. You have to plan ahead and do a little networking. And now is a good time to begin nailing-down plans for next summer. Although college students usually stand at the head of the line for internships, businesses and nonprofit organizations are increasingly holding positions open for students currently in high school or those transitioning to college. But make no mistake—these positions are getting increasingly competitive. And many application deadlines are coming significantly earlier than in past years. It may take advance planning and persistence, but opportunities are out there. Going through the internship application process teaches much-needed job search and employment skills. Preparing a résumé, asking for recommendations, landing an interview, and understanding what it means to be a responsible employee are all skills that give high school students an edge in college and beyond. And it’s no secret that internships strengthen college applications, as these opportunities introduce students to career fields or potential majors and reinforce valuable research or lab skills. An internship helps students understand how professional organizations function in the real world. While learning and working, interns have the opportunity to refine career goals. In fact, a summer internship can serve as a “trial period” to test ideas about professions and industries without making any long-term commitments. If you’re especially lucky, these kinds of opportunities can also lead to award-winning science fair projects, journal articles, or patents. 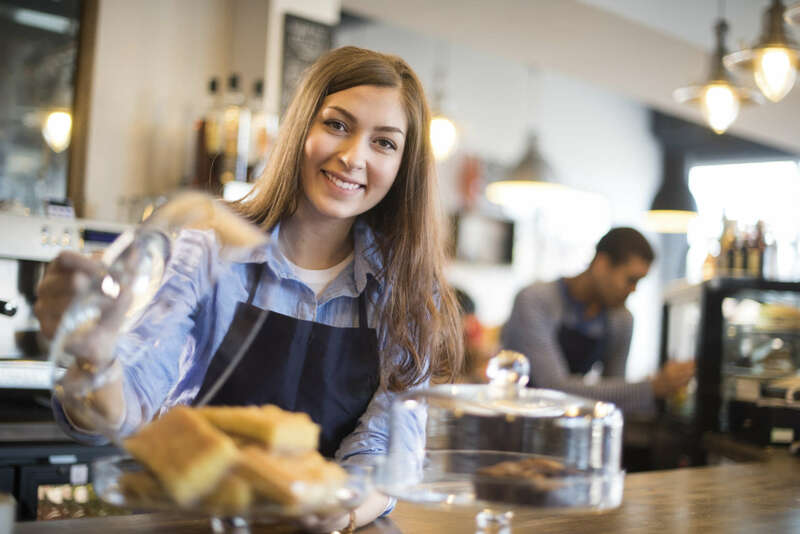 Local businesses and organizations sometimes have formal internship programs designed specifically for high school students. But for the most part, these programs do not offer housing and are usually limited to students able to commute or living in the immediate area. For a great list of opportunities outside of the DC area, check the webpages maintained by the Rochester Institute of Technology. Scroll down for high school students and note that while the dates may not be updated the links are). Be aware that some internship opportunities are “salaried” positions, some have stipends, and some are strictly volunteer. Again, they are generally highly competitive and some deadlines may already be past. So make note for next year. Also, many organizations don’t advertise the availability of summer internships. This is when you have to do a little investigative work on the internet and through other kinds of public job listings. Use your networks—parents, relatives, family friends, teachers—anyone who may have contacts in businesses or organizations of interest to you. At the end of the day, internships are great ways to get to know yourself a little better while building skills that will make you competitive for the future. Summer is a good time for high school students to explore their interests. A little research and planning can uncover ways to investigate an idea, acquire a new skill, or demonstrate a specialty with independent research or projects. In the fields of STEM, especially, there are many options available, including residential summer camps. 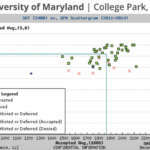 The problem for current high school freshmen (rising sophomores), however, is that many of these camps restrict attendance to their older classmates: rising juniors and seniors. This does not mean high school freshman should wait to begin finding ways to learn more about the fields that interest them. You’ll have to be a little more flexible and dig a little deeper to find available summer STEM camps if you are currently a freshman. But if you are fortunate enough to have the available time and financial resources (camps can range from several hundred to several thousand dollars), here are 30 options nationwide during the summer of 2018 for high school freshmen interested in STEM camps. For college-bound high school students, the months between junior and senior years are crucial for jump starting the application process. It’s also a great time for discovering new interests, adding to your resume, and otherwise positioning yourself for beginning the ultimate transition from high school senior to college freshman. Work. Options range from scooping ice cream at the shore to organizing a book drive, conducting research, interning on Capitol Hill or hammering nails for Habitat for Humanity. By the time you’ve completed junior year of high school, you should be old enough and responsible enough to work—full or part time, paid or unpaid. Work builds character, introduces career options, teaches skills, and expands your network in important ways. Don’t miss the opportunity to add to your resume while learning something about yourself and others. Visit Colleges. Campus tours don’t stop just because undergrads are off doing other things. 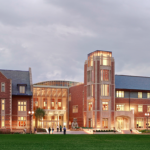 Now is the time to check out the last few colleges on your list and refine your ideas of how location, size or architecture affects your thinking about a particular campus. And by the way, the summer is a great time for having more relaxed conversations with admissions staff, coaches, or professors in departments you may be targeting. Nail Down the List. Take a deep breath and begin eliminating schools that don’t really appeal or offer what you want. Zero-in on places representing the best fit—academically, socially, and financially—and begin committing to a realistic list of schools to which you intend to apply. Demonstrate Interest. Beyond visiting campuses, engage in a systematic demonstrated interest campaign. Be proactive by getting on mailing lists, requesting information, initiating correspondence, getting to know regional representatives and attending local events. In addition to showing your favorite schools a little love, you might just learn something important about campus culture or new initiatives colleges want to introduce to prospective applicants. Get Organized. 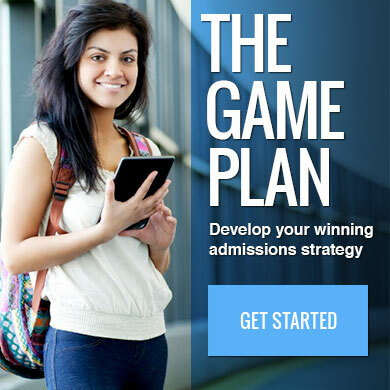 There are a zillion moving parts to the college admissions process. 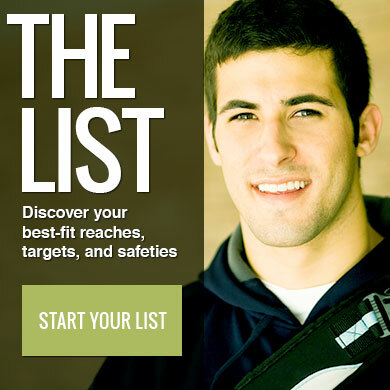 Get a handle on them by creating a spreadsheet of colleges on your list and noting deadlines, requirements (recommendations, test score submission, interviews), important admissions policies (non-binding early action vs. binding early decision), and application quirks (supplements, scholarships, honors programs/colleges). 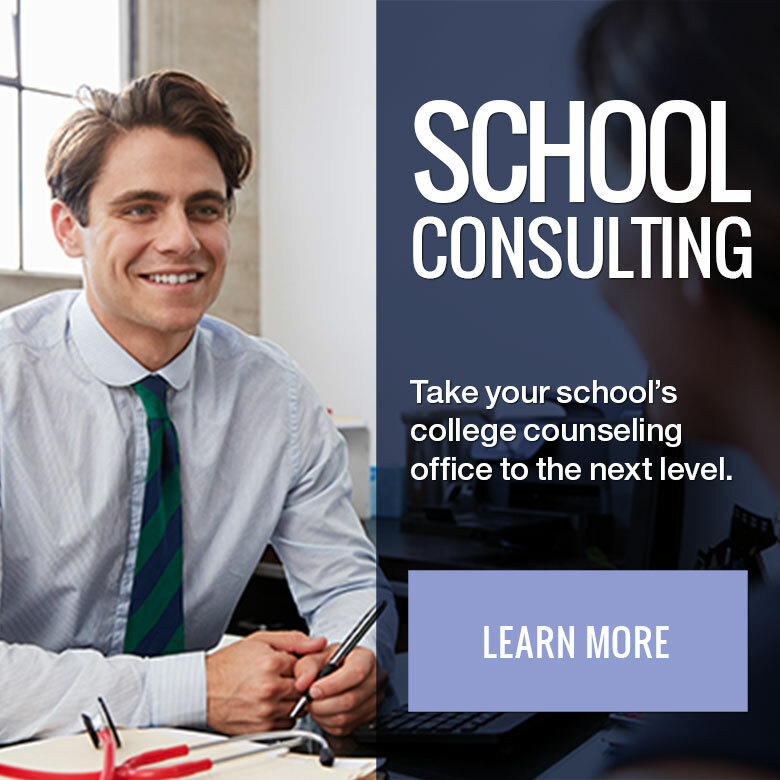 Also, make note of which colleges use the Common Application, the Universal College Application (UCA), the Coalition Application or other school-based forms. Do the Clerical Part. There’s no reason not to complete the simple stuff early in the summer by opening applications and entering basic information. All three major platforms are capable of rolling information from one year to the next and encourage the completion of questions that are unlikely to change. So do it. The Coalition and the UCA are set up so that colleges can launch as early as July 1. 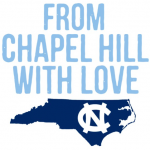 The Common Application will be ready to go on August 1. Other applications and supplements will appear on websites as the summer progresses. If you start shared elements of your applications, you will be one step ahead. Draft Essays. Now is the time to begin brainstorming and drafting essays. Explore a variety of topics and don’t be afraid to change direction or discard work that’s going nowhere. This is the advantage of writing and reflecting during summer months before the pressures of senior year cut into Zen time. While essay prompts for personal statements have been posted for months, college-specific supplements and essays will roll out over the course of the summer. Keep checking websites and make note of prompts as they appear. And then start writing! Prep for Standardized Tests. You’ve probably taken the ACT and/or the SAT at least once. If you didn’t knock the ball out of the park the first time (and most don’t), plan to prep for a retake. SAT now offers an August test, in addition to October. ACT has a test in September and in 2018 will have one in July. For the most part, scores from these tests will be returned in time for you to make the earliest of early deadlines. 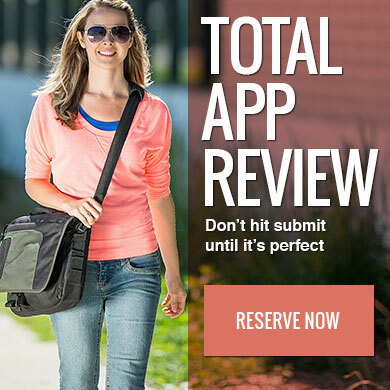 Get a tutor, sign-up for classes or simply sit at the kitchen table and take timed practice tests. Research and Apply for Scholarships. The scholarship hunt should begin now—not after all your college applications have been submitted. A surprising number of scholarships have applications due early in the school year and use essay prompts similar to those you’re working on for colleges. Use FastWeb or Cappex to get an overview of what’s out there. And while you’re at it, explore FAFSA4caster with your parents for a little reality testing and apply early for that all-important Federal Student Aid (FSA) ID. FAFSA goes live on October 1, but there’s nothing to be gained by waiting until then to sign-up for the FSA ID. Secure Recommendations. If you haven’t done so already, try to get in touch with at least two core academic teachers from junior year to ask for college recommendations. You may or may not need both, but it’s always a good idea to have two teachers willing to support you. Don’t delay—teachers may limit the number of recommendations they’re willing to write or they may want to get started before school begins. 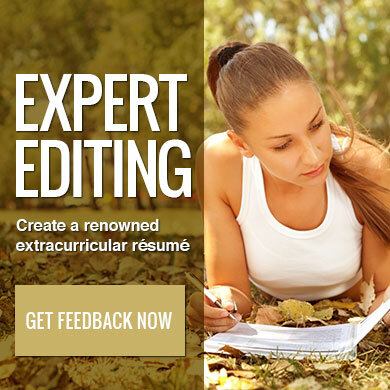 And be sure to provide recommenders with whatever background information they request—at a minimum, a resume and cover note reinforcing your appreciation and why you asked them to play this important role in your application process. Schedule Interviews. 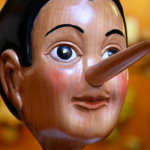 Many colleges offer on-campus interviews during the summer. You want to be able to check these requirements off your list sooner rather than later. Colleges make it easy to combine interviews with campus tours, but you have to schedule early to get days and times that work for you. Position Yourself for Fall Classes. 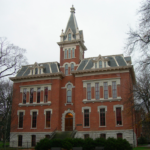 Be aware that senior year courses and grades can be very important in admissions decisions. Colleges want to see upward trends in grades, and they care very much that you continue to challenge yourself academically. Obtain texts for any challenging or AP/IB classes and “study forward” during the summer. If necessary, give your tutor a call and go over the first few chapters of material you know will keep you up late at night come September. Read, Relax, Enjoy Yourself and Connect with Friends. 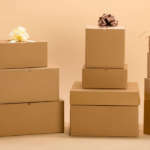 A year from now, you’ll be packing your bags! Attention rising high school seniors! In the sixth of a series of beachfront advice posts to celebrate summer, learn the beautifully simple way to gain inspiration for the college application essays you should be completing this summer. Write an essay worthy of getting you into your dream college! 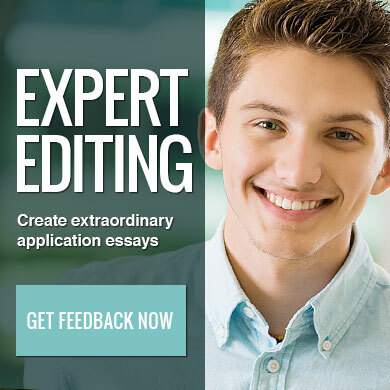 Expert college application essay editing is just a click away! High school students are seemingly always on the go and juggling many academic and extracurricular endeavors. In the fifth of a series of beachfront advice posts to celebrate summer, we remind you that while it’s important to make productive use out of your summer, it’s also important to take a break for your own good. Is Summer SAT or ACT Prep a Smart Use of Time? SAT and ACT preparation courses or tutors are not always a smart investment, especially over the summer when colleges want to know that you’ve been productive. In the fourth of a series of beachfront advice posts to celebrate summer, learn if it makes sense for you to invest in summer test prep or pursue other options. Expensive pre-college programs or college courses are all the rage with parents and students these days, but should they be? High school students often wonder how to make the most of their summer vacation: take courses at a ‘prestigious university’ or pursue local, and often cheaper, options? In the third of a series of beachfront advice posts to celebrate summer, we have the answers that will ensure you weigh the pros and cons of each option. To get paid or not get paid, that is the question. High school students often wonder what’s the best use of their summer break: get a paying job or get an internship? In the second of a series of beachfront advice posts to celebrate summer, we have the answers that will ensure a productive summer that will impress college admissions officers.